There’s nothing like seeing your own name in print on your very own business cards! 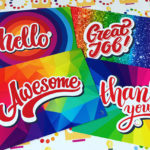 We have a range of business cards to choose from basic cards to high end styles, if you aren’t sure what you want or what to put on them give us a call and we can tell you what’s available and what sort of thing you need to include on your cards. Give us a call to talk about your requirements on 01332 418377 or speak to us on our online chat facility.